Ouagadougou (AFP) - Burkina Faso's Constitutional Council has rejected a request by supporters of ousted president Blaise Compaore to revoke his indictment for treason, saying it has no powers to grant such a request, according to a decision seen by AFP Monday. 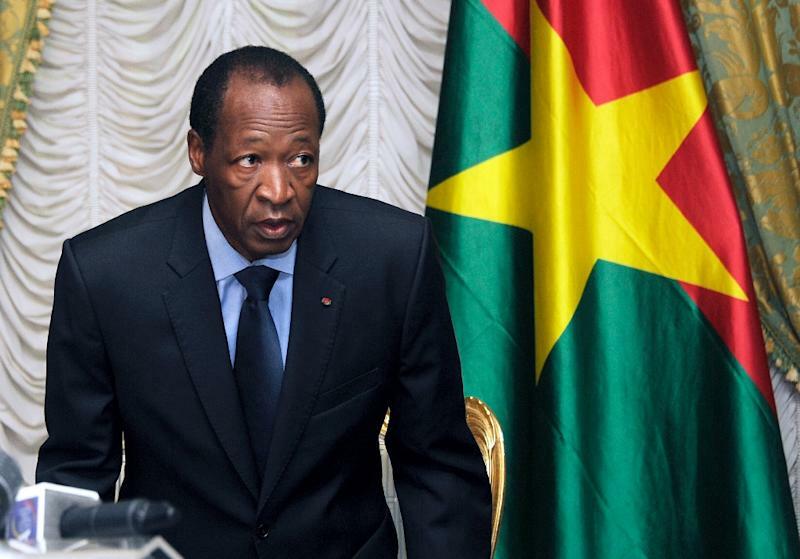 On July 16, the west African country's National Transitional Council, which acts like a parliament, indicted Compaore for "high treason" over his bid to change the constitution to remain in office. The NTC, which has been running the country since Compaore's ouster in October last year, also voted to charge several members of Compaore's government with murder and assault over a brutal crackdown on the protests that forced him from power. Accusing the TNC of a "witch hunt" a group of lawmakers loyal to Compaore had appealed to the country's Constitutional Council to cancel the indictments, saying they did not respect Burkina Faso's basic law. But the Constitutional Council said it could not rule "on the constitutionality of laws that have already been promulgated". The council was "therefore... incompetent" in the matter, according to the decision seen by AFP, which is final. Compaore stepped down and went into exile in Ivory Coast after a popular uprising triggered by his attempt to extend his 27-year rule. Hundreds of thousands of demonstrators took to the streets, in protests that were brutally suppressed, leaving several dead. The TNC will hand over power to an elected government after presidential and legislative elections later this year. The first round of voting is scheduled for October 11. The public prosecutor at the High Court, which will hear the cases against Compaore and other former regime members, said last week that the first sentences could be handed down "before the end of the transitional period".